Unformed Landscape begins in a small village on a fjord in the Finnmark, on the northeastern coast of Norway, where the borders between Norway, Sweden, Finland, and Russia lie covered in snow and darkness, where the real borders are between day and night, summer and winter, and between people. Here, a sensitive young woman like Kathrine finds few outlets for her desires. Half Norwegian, half Sami (an indigenous people), Kathrine works for the customs office inspecting the fishing boats arriving regularly in the harbor. She is in her late 20s, has a son from an early marriage, and has drifted into a second loveless marriage to a man whose cold and dominating conventionality forms a bold stroke through the unformed landscape of her life. After she makes a discovery about her husband that deeply wounds her, Kathrine cuts loose from her moorings and her confusion and sets off in search of herself. Her journey begins aboard a ship headed south, taking her below the Arctic Circle for the first time in her life. Kathrine makes her way to France and has the bittersweet experience of a love affair that flares and dies quickly, her starved senses rewarded by the shimmering beauty of Paris. Through a series of poignant encounters, Kathrine is led to the richer life she was meant to have and is brave enough to claim. Using simple words strung together in a melodic alphabet, Peter Stamm introduces us, through a series of intimate sketches, to the heart of an unforgettable woman. Her story speaks eloquently about solitude, the fragility of love, lost illusions, and self-discovery. Michael Hofmann has translated the work of Franz Kafka, Joseph Roth, Peter Stephan Jungk, and many others. He is the author of several books of poems and a book of essays, Behind the Lines, and is the editor of the anthology Twentieth-Century German Poetry. In 2012 he was awarded the Thornton Wilder Prize for Translation by the American Academy of Arts and Letters. He lives in Florida and London. 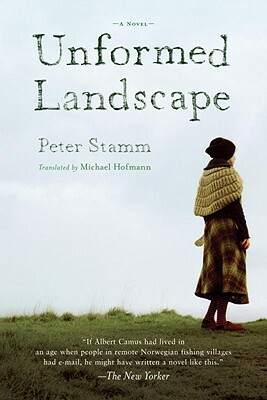 As the title of his novel Unformed Landscape (Other Press, 2005) and his collection of short stories Strange Gardens and Other Stories (Other Press, 2006) imply, Swiss author Peter Stamm's characters are deeply affected by their surroundings. The Norwegian fishing village where Katharine, the central character in Unformed Landscapes, resides is a gray place, enlivened only by her increasingly complicated affairs and fantasies of life elsewhere. Like the landscapes of his novels, Stamm's prose is spare and graceful. "Unformed Landscape is a masterpiece of minimalism but with deep undercurrents..."